Spring Racing Season is upon us and I’m excited! It’s the perfect opportunity to buy a new outfit, get dolled up and enjoy a few glasses of bubbles, something that doesn’t happen nearly enough as a mum of three. 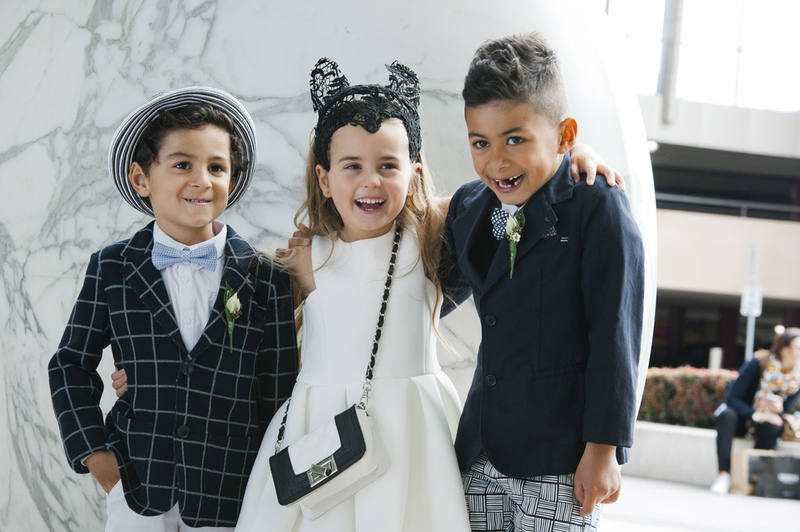 But it’s not all about us grown ups, Chadstone Fashion Stakes will be on the hunt for junior fashionsitas of the racecourse to join in the fun on the catwalk in the Classic Kids (4-7 Years) category this Thursday 24th of September at Chadstone - The Fashion Capital. Gigi and Bella are looking radiant in Camilla dresses and David Jones headwear while Tevita and Maikeli are suited up in new season Bardot Jnr. 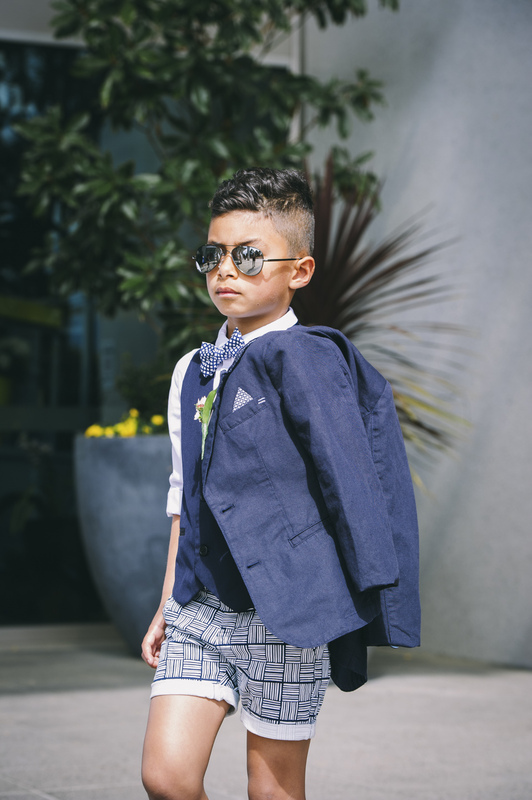 Classsic Kids Heat 1 (Wild Card) is an event with a focus on children’s fashion for the Spring Racing season. The children will compete in heats, with the winner of the day going straight to the final (as a Wild Card contestant) at Underwood Stakes Day, Saturday September 26. Registration for families wanting to enter is between 10:00am and 10:30am on Thursday Sept 24, lower level outside David Jones. School Holiday fun has never looked so stylish! I’ll be there (with Tribe in tow) and joined on stage by fellow Childrenswear blogger Sandi, better known as The Kids Fashion Blogger. Together we’ll share our hot tips for Kids Fashion on Raceday and how to adapt trends from runway to racewear ready. Our little people may even strut down the catwalk….nerves and 3yo mood swings permitting! So what should mini racegoers wear? I’m glad you asked! I highly recommend you do as I did and drop into Chadstone – The Fashion Capital with an hour or so up your sleeve. Being the largest (and most stylish) shopping centre in the Southern Hemisphere, you’ll find a broad selection of new season occasion wear from local and international designers include Bardot Jnr, Seed Heritage, Armani Junior, Zara, Country Road, GAP, David Jones and more. Don’t be afraid to experiment with patterns, pops of colour and accessories. Tevita wears Bardot Jnr bow tie, contrast shirt and navy vest with Seed Heritage chino shorts and aviator shades. Blazer available from Armani Junior. When it comes to the Classic Kids Heats, judges will be keeping a close eye on the overall personal presentation, deportment and accessories on show. Also appropriateness of the outfit for the age of the child and event requires some thought. Both a male and female entrant from the Wildcard heats this Thursday will proceed directly into the final this coming Saturday and be in the running for some fabulous prizes! Bella wears Bardot Junior dress and David Jones headwear. 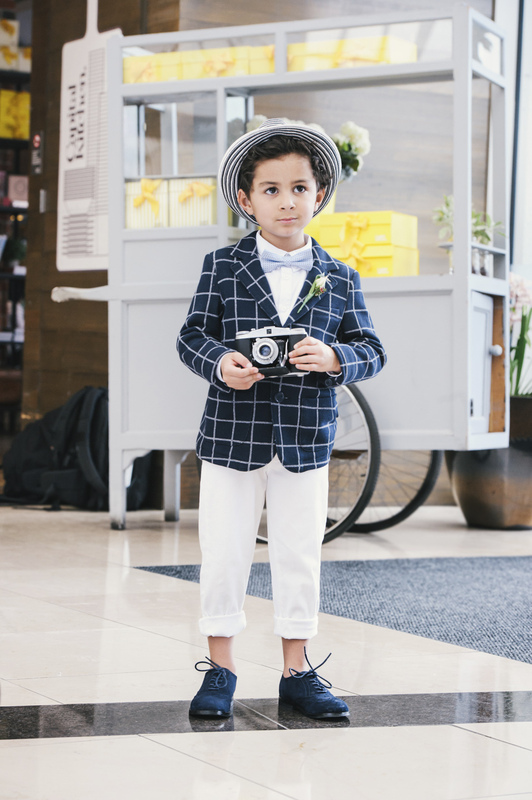 Maikeli (right) wears Seed Fedora and bow tie, Bardot Junior Shirt, Chino’s and shoes with Armani Junior jacket. Girls pictured in Camilla dresses with David Jones headwear. Boys raceday ready in dapper Bardot Junior ensembles.